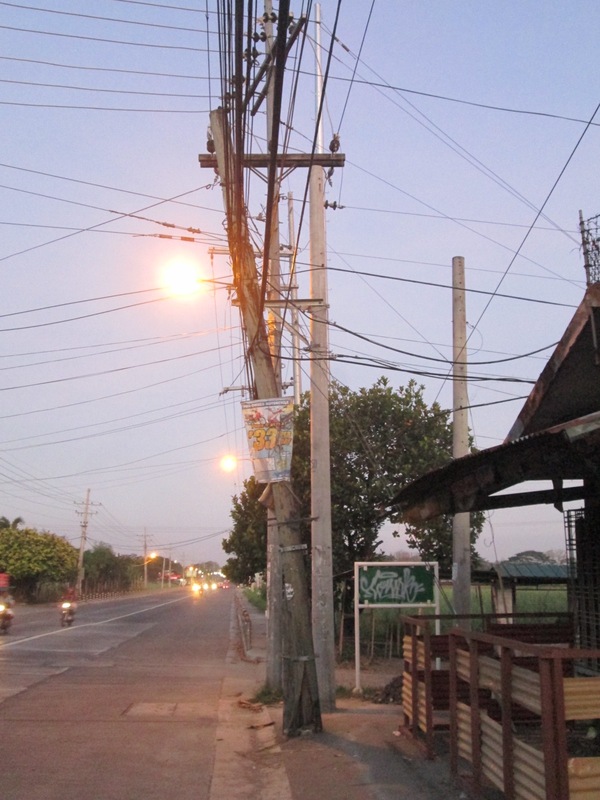 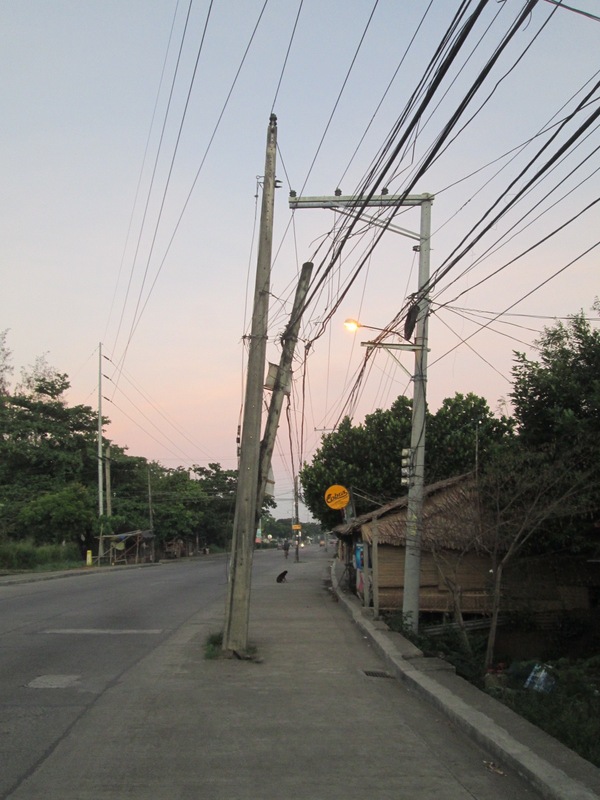 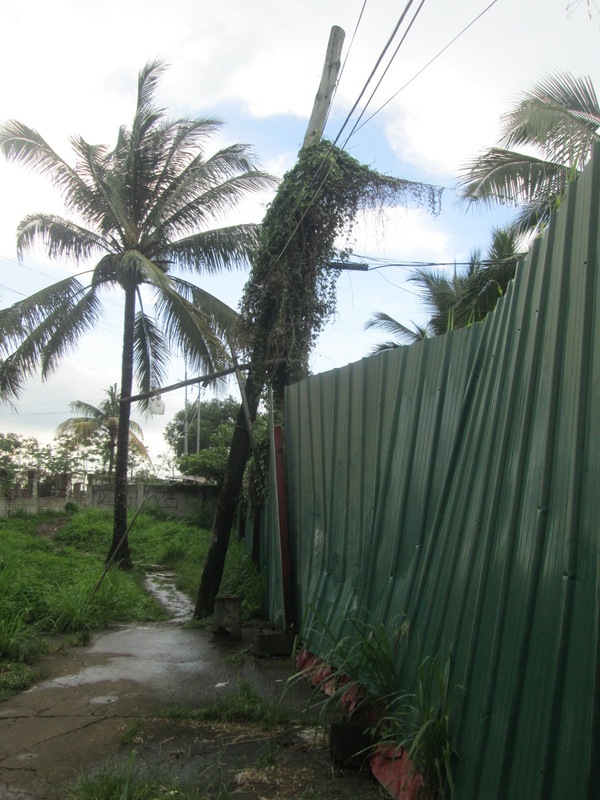 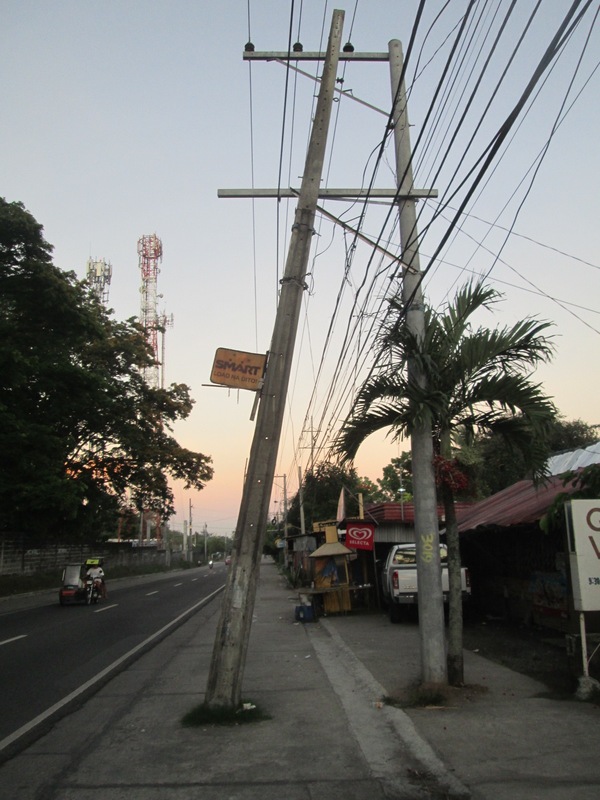 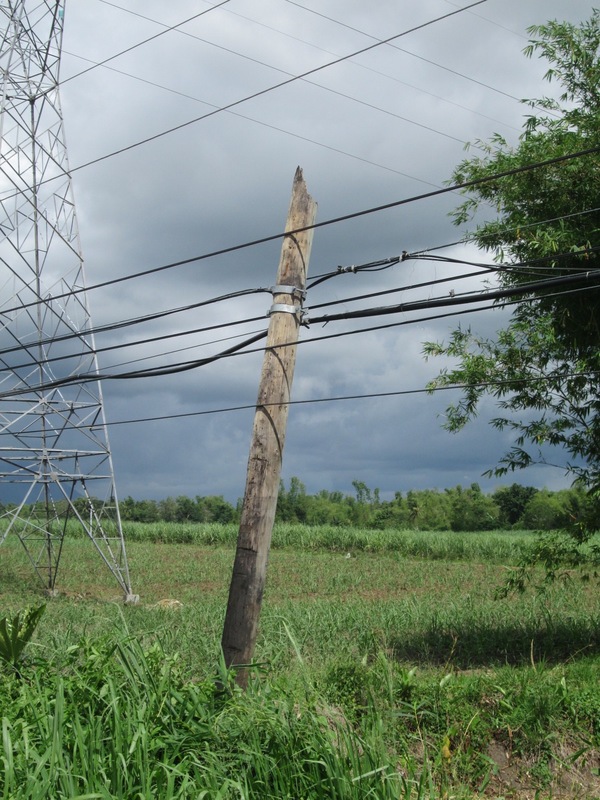 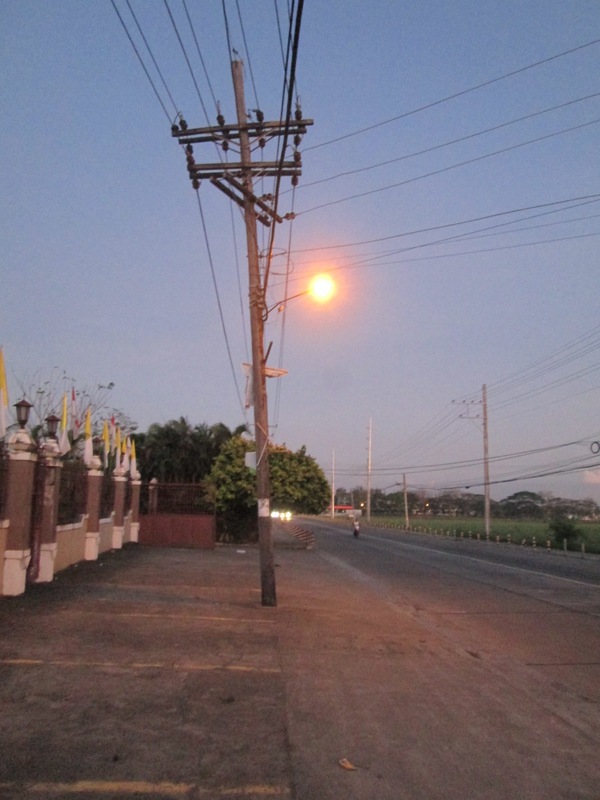 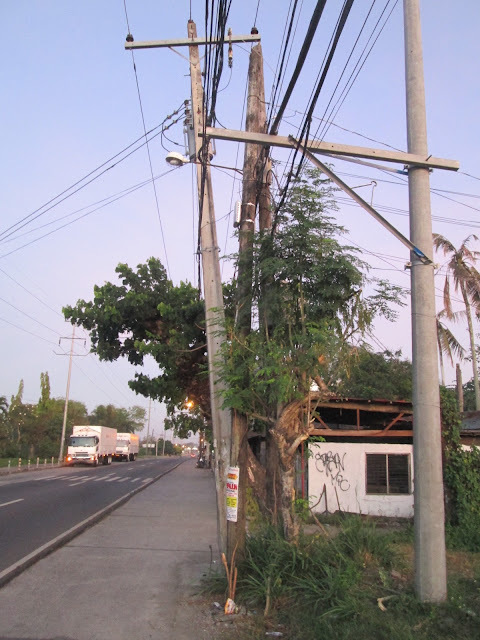 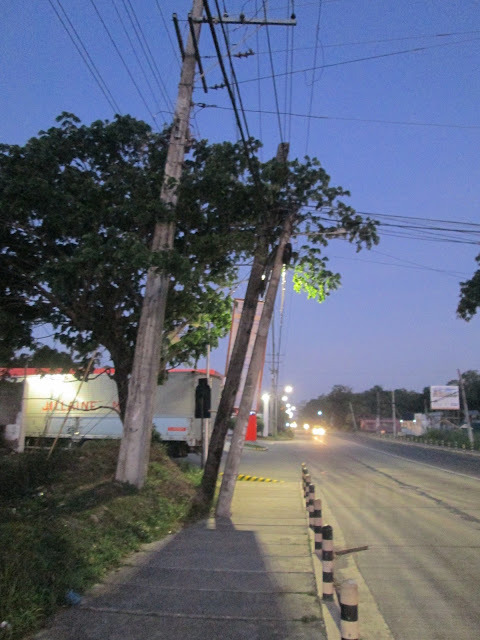 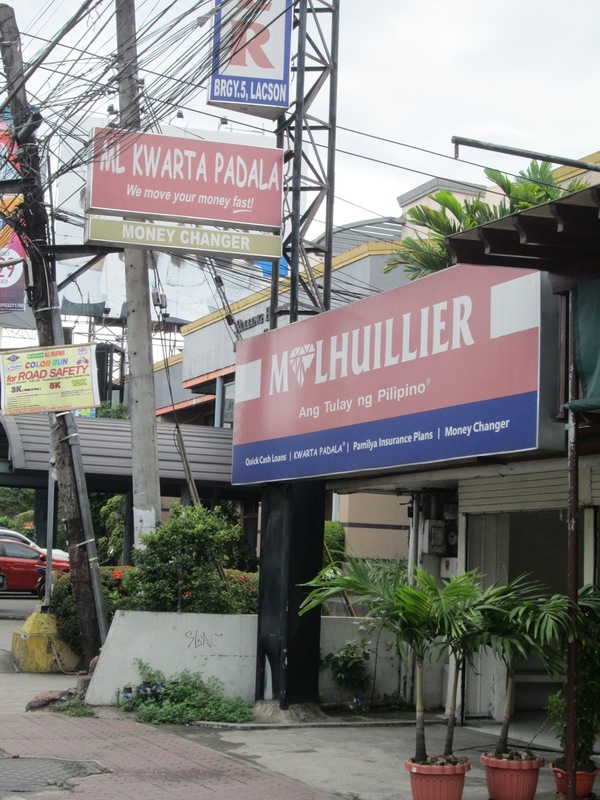 All throughout the Philippines electric poles are leaning and rotten. Top heavy with wires these leaning poles pose an immediate danger but they are so pervasive that it's obvious no one cares. 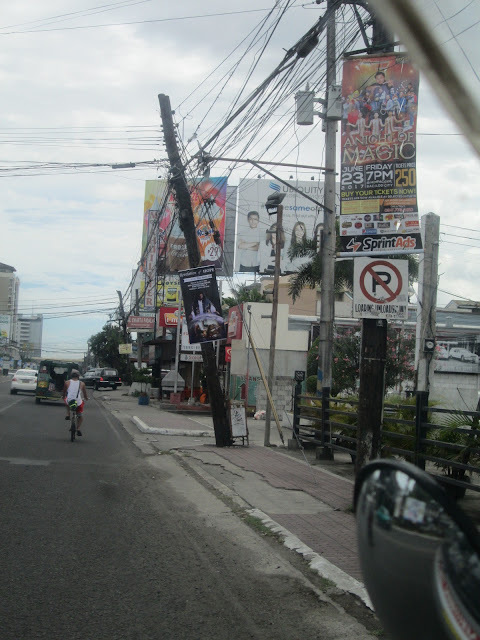 Some of these poles are right in the middle of the road! As if the poles were already in place and rather than move them they just paved right around them. This situation is shameful. 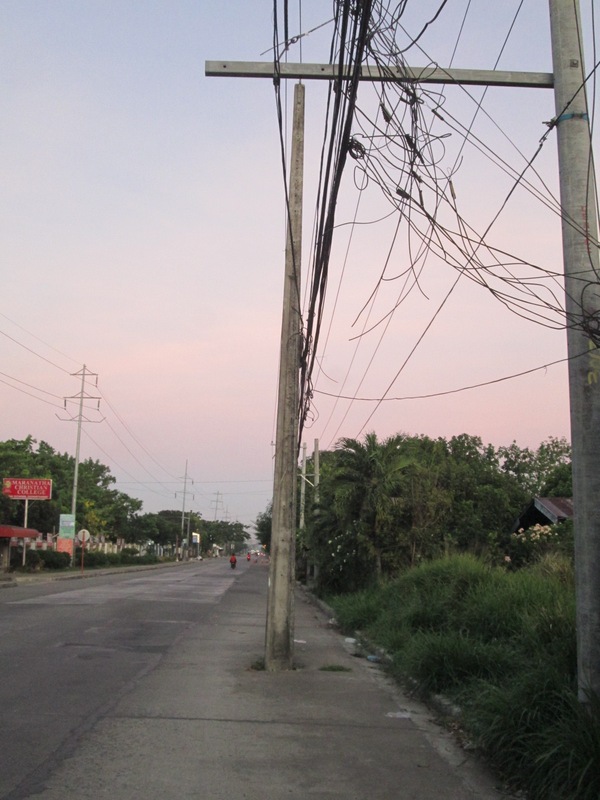 But you never hear anyone addressing it. 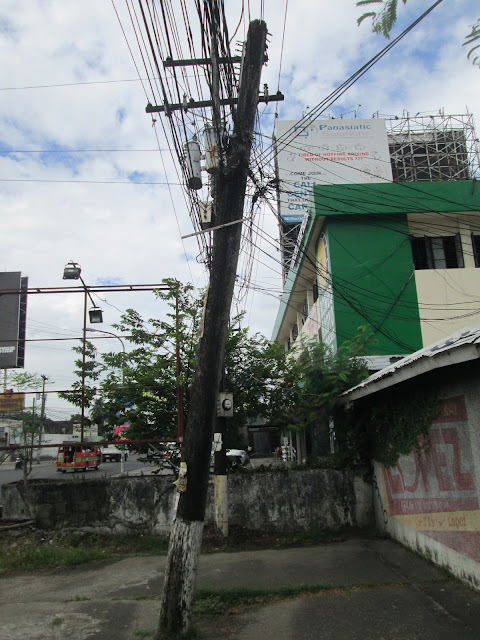 When election season comes around no one includes fixing the leaning electric poles as part of their platform. 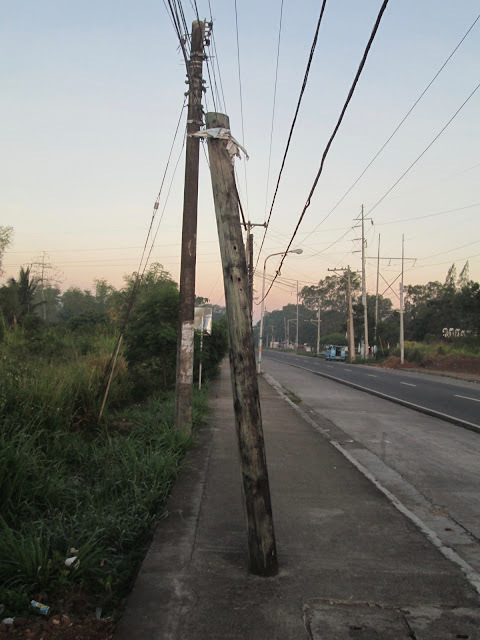 The Philippines wants so much to become a first world nation but it's little things like this (and this is no little thing) that will keep the Philippines back. Without proper infrastructure how can the nation support the businesses they wish to attract? 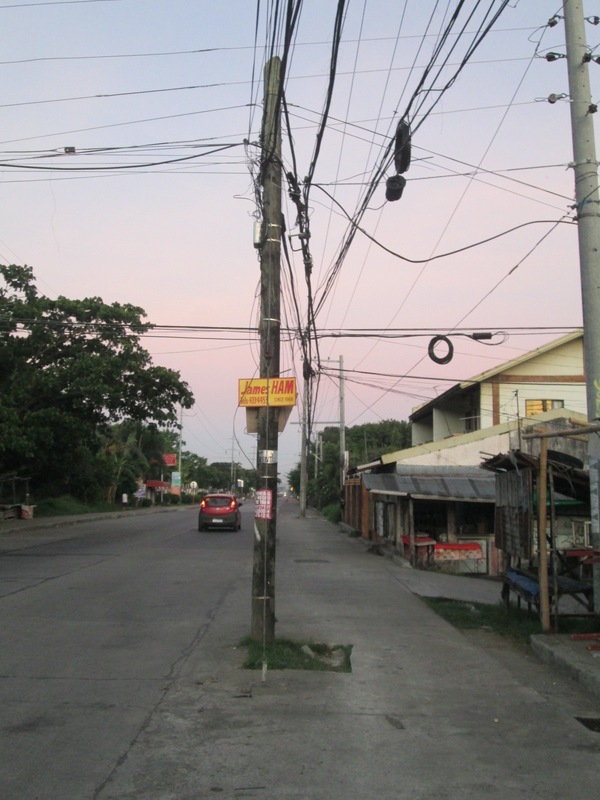 Filipinos cannot think ahead or plan for the future adequately. 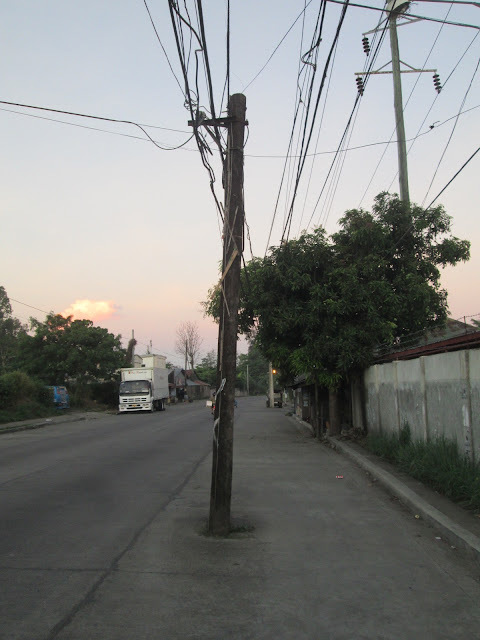 They are trapped in the thinking that if nothing bad has happened yet then it probably won't and if it does then it will be dealt with then. 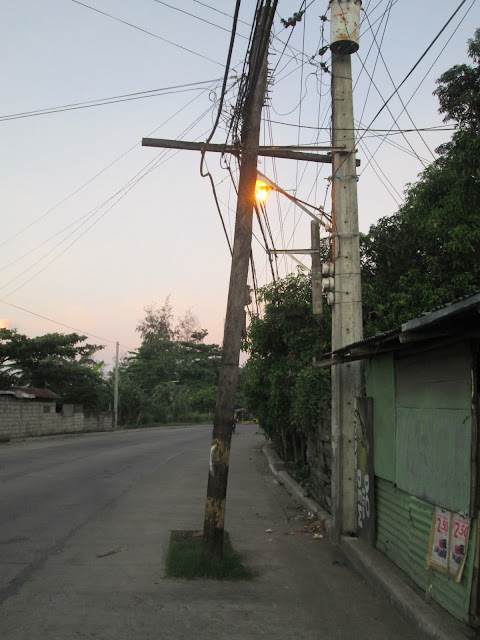 Such lack of foresight will only continue to retard Filipino culture and keep everyone unsafe.